Editor’s Note: This review is spoiler-heavy. 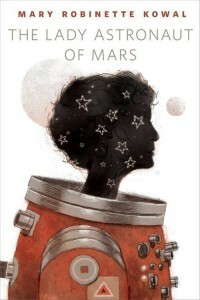 If this bothers you, please go read “The Lady Astronaut of Mars” on Tor.com, then return. Spoilers: it’s worth it. Science fiction offers many things to readers. It allows them to be transported to another time, to wonder about the future, to see sights and visit worlds that are currently out of human reach. To writers, it provides a canvas that begs for speculation, to take issues that challenge us individually and as a society and examine them through a lens warped by time, imagination, and creative license. Wanna play D&D with Rothfuss, Brett, Sykes, and other Fantasy authors? Get out your wallet.